To nurture and support, with dignity and respect, children, adults and families in order to expand opportunites and enhance lives. HeartShare Human Services of New York nurtures and empowers children and adults diagnosed with intellectual and developmental disabilities, including autism spectrum disorders, through educational, life skills and vocational training, residential, case management, recreational, family support and health care services. HeartShare affiliates include The HeartShare School, which offers quality education and therapies to children with autism, HeartShare Wellness, which provides critical health services to those with developmental disabilities and case management to those with chronic conditions, and HeartShare St. Vincent’s Services (HSVS), which supports children, adults and families living in crisis due to experiences with poverty. Since its founding in 1914, HeartShare has expanded its reach to over 100 program sites in Brooklyn, Queens and Staten Island, as well as to 61 of the 62 New York counties through energy grants to low-income families. HeartShare is proud that 90% of all revenue goes directly to its programs and services. 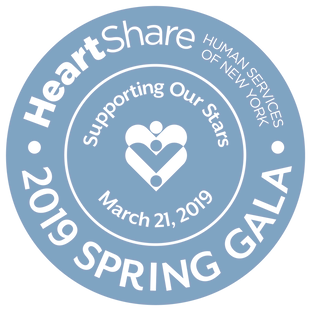 HeartShare is accredited by the Council on Accreditation of Services for Families and Children and is a Better Business Bureau Accredited Charity.